Businesses, whether big or small are increasingly relying on the internet to gain both credibility and customers. Being accessible online can bring in a lot of opportunities for a business. 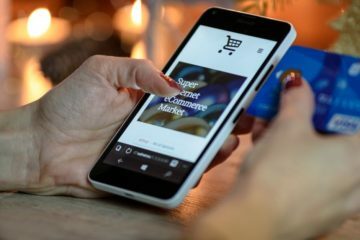 But to capitalize on these opportunities, one needs an appealing and accessible website, and website hosting companies are the ones that make your site reachable on the internet. A web host or web hosting service provider is a company that hosts and stores websites on powerful computers called servers. It provides the technologies, as well as the services that allow viewers to access your site on the internet by typing its URL on a browser. Now, before revealing the best web hosting companies in 2018, let’s take a look at the main types of web hosting. It is essential to know the different types of web hosting services and their pros and cons in order to choose the one that can cater to your needs. There are mainly 6 types of web hosting services, which are explained below. Shared Hosting: As the name suggests, different users share the same server and resources in shared hosting. The main advantage of shared hosting is that it is affordable, as the cost is shared by all users. But as resources are also shared, their availability to you is affected by how much resources others are using. Moreover, heavy traffic to a single site can cause the server to crash, in which case rest of the websites also go offline. Slow response time and speed are some other problems associated with shared hosting. This type of web hosting is usually suitable for small businesses. VPS Hosting: VPS stands for the virtual private server. In this type of hosting, each website gets a specific amount of resources in spite of sharing the same server. It is made possible by creating virtual servers for each user by using the software. Unlike shared hosting, VPS hosting can provide better speed and response time. It is also easier to upgrade. But the risk of going offline remains if the server crashes. 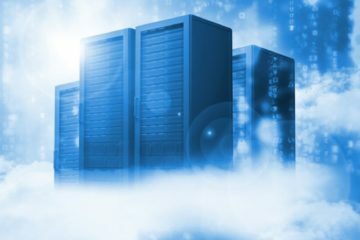 Cloud Hosting: Cloud hosting is the latest technology that allows a number of individual servers to work together so that users can access several servers. As a result, they can handle unusually large amounts of traffic. Unlike shared and VPS hosting, there is no risk of going offline even if a particular server crashes as cloud hosting automatically allows you to access another server in the network. Cloud hosting is, however, more expensive than the shared and VPS hosting, but it gives more reliable service. Dedicated Hosting: In dedicated hosting, you can not only own your server but also control it. It is no doubt, more expensive than other services, but it provides greater speed, faster response time, and more customization. However, you might encounter some problems with setting up the system. This service is ideal for sites receiving huge traffic, as well as for big corporations having separate IT departments to handle the technical issues. Colocation Web Hosting: A web hosting company providing colocation service rents out spaces in a data center in terms of racks and cabinets. Customers can install their hardware and equipment in their allocated racks. The web host provides power, cooling system, bandwidth, IP address, and security. This web hosting service is more suitable for those with the necessary technical expertise to manage their hardware, server software, and data storage. WordPress Web Hosting: Nowadays, many web hosting companies are also providing managed WordPress hosting, mainly due to the growing popularity of WordPress. 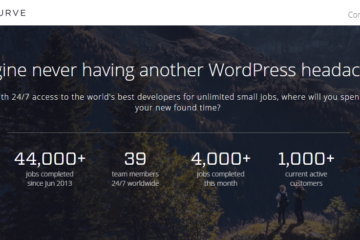 The web hosting provider keeps the WordPress installations updated. It also manages all technical aspects related to web hosting such as security, speed, website uptime, and daily backups. WordPress web hosting is not expensive and is suitable for anyone using the WordPress platform. InMotion is a trusted web hosting provider with more than 15 years of experience in the business. The company offers a number of plans including shared, VPS, and WordPress hosting. It provides cPanel and Softaculous-powered hosting. With InMotion Hosting, you can avail services like malware, DDoS protection, and ‘spam-free email’ for free, besides free domain registration, SSL (Secure Sockets Layer) certificate, and unlimited bandwidth. The SSL certificate ensures the security of all transactions on your site by getting them encrypted. Renowned for providing quality customer service and support, InMotion will get your web pages optimized for speed and will keep them updated. With InMotion, you can expect 99.9% uptime and faster page loading, which are crucial to the success of any business. InMotion web hosting is especially ideal for personal websites and businesses new to hosting and website building. If you are planning to use WordPress as a content management system (CMS), then Bluehost is one of the best options available to you. However, Bluehost provides quality services for other CMS as well. With Bluehost, you will get automated set up for WordPress, a Weebly-based website builder, unmetered bandwidth, and cPanel in the billing system. One of the main reasons behind the growing popularity of Bluehost is the company’s easy-to-use interface. It provides SSL and SSD (solid-state drive) for free but charges a fee for the site migration service. The load time or speed (419 milliseconds) and uptime (99.99%) of Bluehost are remarkable. The 24/7 support service is also available for all plans. Shared, VPS, WordPress, dedicated, and cloud hosting are the main services provided by the company. 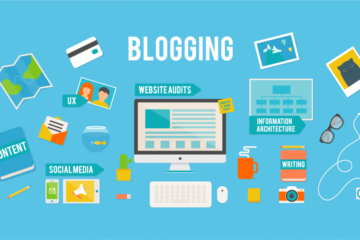 The WordPress hosting plans offered by Bluehost are, however, relatively more expensive than those provided by their competitors. It offers one of the cheapest web hosting services without compromising quality. Unlimited bandwidth, unmetered disk space, a 99.9% uptime guarantee, access to cPanel, 24/7 customer support, $200 worth of Google and Bing Ads, and a 45-day money back guarantee are some of the attractive offers given by HostGator. However, you will not get a free domain and additionally, its Turbo plan is a bit more expensive. It lacks window-based VPS hosting as well. But you will get assistance right from hosting your website to actually building it. HostGator mainly provides 4 types of plans – shared, VPS, dedicated, and managed WordPress hosting. This web hosting provider has been around since 2003 and it claims to provide faster loading and excellent uptime than many big players in the industry like Bluehost. Its impressive site loading time can be attributed to the SSD drives that are available for all plans. A2 Hosting offers both Windows- and Linux-based plans, free site migration service, a 30-day money back guarantee, unlimited storage space, free SSL certificate, and 24/7 phone support for customers. Free site migration means that if at any point in time your website grows in size, you can instantly switch over to a more powerful package. For example, if you are using shared hosting, you can switch over to the dedicated, cloud, or VPS servers, if any need arises. Further, A2 hosting’s cPanel enables you to manage your web pages and control your emails and software within one account. This US-based company is known to provide the best domain hosting service. It is also the biggest domain name registrar in the world. Along with a free domain, you will get unmetered bandwidth, cPanel-powered Linux hosting, free backup and restore services, unlimited storage, and 24/7 customer support. Like other leading players in the market, it too claims an uptime guarantee of 99.9%. However, the greatest drawback is, GoDaddy does not give free SSL, which is provided by most of the leading web hosting companies. But it offers a range of user-friendly web building tools to its customers. It provides all the main types of hosting services such as shared, VPS, dedicated, and managed WordPress hosting. Dreamhost is the proud winner of PCMag’s ‘Best Web Hosting Service’ award for two consecutive years (2017 & 2018). It offers WordPress and shared hosting with attractive features like free domain, unlimited bandwidth, and storage. As Dreamhost uses SSD servers, your site will be really fast to upload. But the main shortcoming is, Dreamhost does not use third party control panels like cPanel. It has its own proprietary panel that is available with all hosting packages for free. You can use this panel to manage the technical issues related to hosting an account. 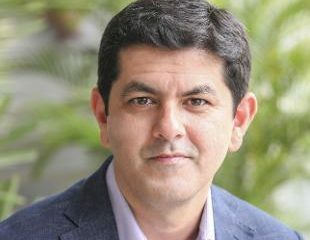 But you won’t be able to import data and files from other control panels, which means you have to manually transfer these from a cPanel host. This can be a major inconvenience. Dreamhost is the only company to offer a 97-day money back guarantee and credit a day’s service to your account for every hour of interrupted service. Moreover, it is one of the few companies to follow a transparent pricing policy with no hidden charges. iPage provides low-cost web hosting, especially shared hosting with a number of freebies like free domain registration, free marketing tools and emails, $100 in ad credits for Google and Bing, and free SiteLock web security. The SiteLock security basically scans malware issues regularly and thus, protects your data from security breaches. iPage is one of the best and affordable hosting providers for personal websites and businesses having a small budget. iPage offers 24/7 live chat support, 24/7 uptime monitoring, and MySQL databases. However, a few problems like slow page uploading and inconsistent speed have been reported by some users. But if you are an environmentally conscious person, you will be happy to know that iPage is a green web host, as its data centers and servers are driven by wind energy. 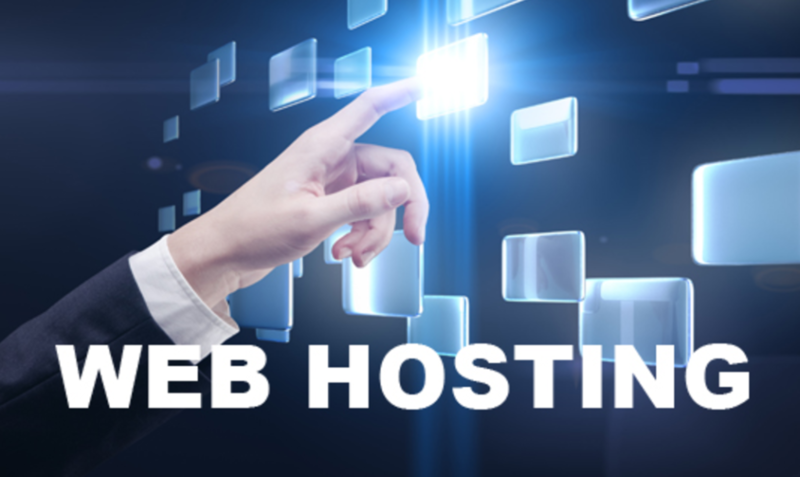 Stablehost has made rapid strides in providing safe and high-quality web hosting solutions at an affordable price to individuals and small businesses. Although the company is comprised of a small team of professionals, it offers a 99.9% uptime guarantee and an excellent technical and customer support. What is unique about Stablehost is that it employs shared cluster web hosting. Unlike traditional shared hosting, cluster hosting stores a website on the best server available at a particular time. It keeps checking your drives every minute, round the clock and moves your site to another server if any error is detected. As a result, resources can be scaled up in the event of a sudden jump in traffic to your website. Stablehost also provides reseller and VPS hosting services with user-friendly cPanel, website building tools, fast servers, Softaculous script, unlimited bandwidth and disk space, unlimited email accounts, and MySQL databases. Bigrock is one of the cheapest, yet leading hosting providers in India. The company mainly offers 3 types of services, shared, reseller, and specialized hosting. The specialized hosting services include WordPress, CMS, and e-commerce hosting. Apart from these, domain registration and website building services are also offered. As far as customer support is concerned, both phone and live chat options are available. Other technical features include MySQL databases, cPanel, Perl, PHP, WordPress, 99.9 percent uptime, advanced caching for faster speed, malware protection, and instant scaling. Hostinger specializes in shared and VPS hosting. The VPS hosting service comes with daily/weekly backups. The company boasts of great customer support and good speed and uptime. It offers the industry-standard 99.9% uptime service, free domain, SSL certificate, unlimited email accounts and bandwidth, quality cPanel, WordPress hosting, and site builder. There are basically 4 important factors you need to consider before selecting a particular web hosting company. These are – the size and model of your business, your business needs, your bandwidth and disk space needs, security, uptime, page loading time, and finally customer support. The page loading time is extremely crucial, as the average attention span of viewers is very short. If your website takes a lot of time to upload, you are sure to lose viewership and annoy your customers. Similarly, if your site remains down frequently, customers will not be able to access your products and services. So, be sure to evaluate all these factors before selecting a particular web hosting company. 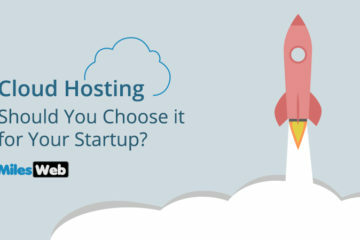 Cloud Hosting: Should You Choose it for Your Startup?